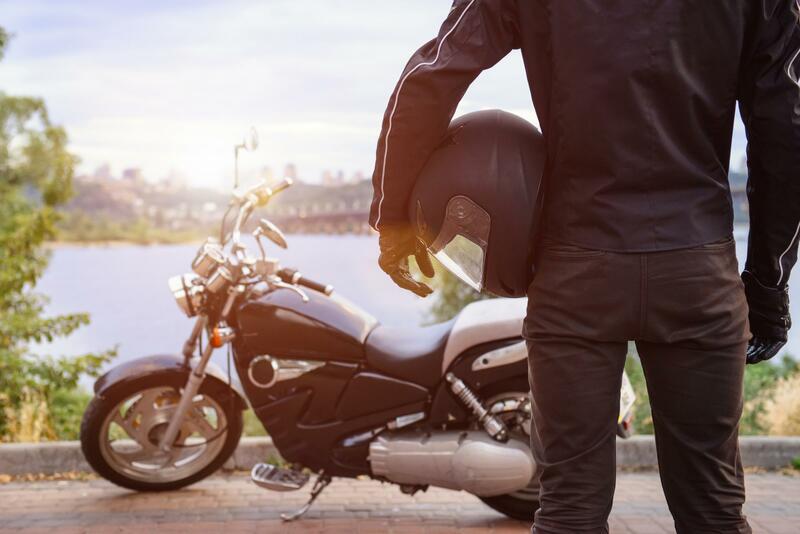 Riding along the open road on a motorcycle is exhilarating, but the joy felt by most motorcyclists also carries a greater risk for injury in the event of a wreck. Due to their smaller size, the consequences of these crashes can be more catastrophic and even deadly: motorcycles are frequently more difficult for other motorists to see, and bikers can easily be sent hurtling into the air. If someone else’s careless, reckless or negligent behavior has caused you harm in a motorcycle wreck, attorney Jim Miron can help. Call 203-339-5991 for a complimentary consultation. Jim proudly serves clients from across Connecticut, including the Greater Bridgeport, New Haven, Stamford, and Waterbury areas. A deft balance of judgment and skill is required to safely ride a motorcycle. Even if you consistently adhere to the rules of the road, a number of other factors can contribute to a wreck. Uneven terrain, tight corners, wet surfaces and inclement weather are just some of the risks all bikers face. When other drivers violate the safety rules of the road by texting, drinking or some other reckless activity, the lives and well-being of everyone around them, including motorcyclists, are at risk. In many cases, motorcycle wrecks are not the result of a vehicle collision, but a biker losing control while reacting to another motorist’s dangerous actions. Injuries sustained in motorcycle wrecks are usually very expensive to treat. These aftermath of these injuries can make it difficult, if not impossible, to earn a living. Not only do these crashes produce physical scars, they create mental and emotional trauma that linger long after other parts of the body may have healed. Jim understands the many ways a wreck can affect the lives of you and your family. He will work diligently to ensure your best interests are protected and you obtain the full and fair compensation to which you are entitled. Jim has extensive experience with a variety of complicated vehicle injury cases. He can determine the true value of your claim and pursue the full compensation you and your family need to heal and get back on track. Spouses can also file separate claims for losing the support, companionship and income of a deceased husband or wife. Jim knows what a difficult time this is for you and your family. He is dedicated to helping you pursue the justice you deserve with dignity and compassion. Your license: Motorcyclists in Connecticut are not required to have a separate license; your standard driver’s license covers motorcycles as well. Your gear: Unless the bike is equipped with a windscreen, all motorcycle riders must wear some type of eye protection, such as goggles. Connecticut law does not require bikers to wear helmets unless they are under the age of 18 or only have an instructional permit, regardless of age. Your motorcycle: Mufflers are required on all motorcycles, but they cannot be straight pipes or have cutouts. If your motorcycle was manufactured after 1975, you cannot exceed noise limits of 80dba/84dba. If your motorcycle was manufactured before 1975, you cannot exceed noise limits of 82dba/86dba. Motorcycles must have left and right mirrors, but turn signals are not mandatory. Handlebars must fall no higher than the shoulders of the operator. Your driving: No more than two motorcycles can occupy a single lane. Riding on the line between two rows of cars, known as lane splitting, is illegal. 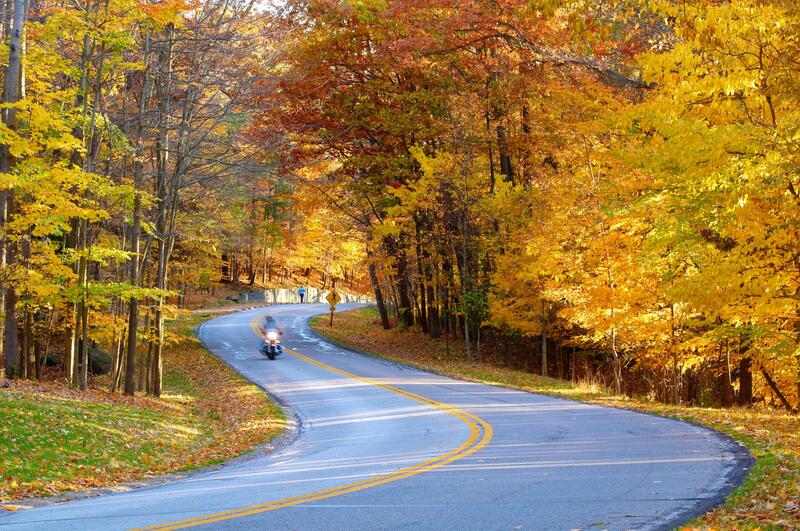 There are no age restrictions for motorcycle passengers. Your insurance coverage must have a minimum compulsory liability of 20/40/10. Road crews who fail to post adequate signage, lane markings, warnings, etc. Even though the majority of cases settle out of court, Jim will carefully prepare your case as though it will go to trial. He is personally committed to helping you recover from your injuries and attain the maximum compensation for your medical expenses, lost wages, pain and suffering, and other damages to which you are lawfully entitled. Contact Attorney Jim Miron online today. Riding a motorcycle can be a dangerous activity. As a motorcyclist, it’s important to do everything you can to ensure your safety and the safety of others on the road. While the majority of wrecks are due to the error of other drivers, there are many things you can do to reduce your risk of injury and make the roadway a safer place. Always wear a helmet: When buying a helmet, make sure it meets the safety standards of the U.S. Department of Transportation (DOT). It should have a sturdy chin strap, weigh about three pounds and have a thick polystyrene-foam liner. Your helmet should ideally have a face shield to protect your eyes, but you can always opt for goggles instead. Check your bike every time you ride: Before hitting the road, make sure your bike is traffic-ready. Check your tires and brakes. If you notice any signs of damage, or signs of an oil or fluid leak, immediately get the issue corrected. Sit properly: Always sit securely in the middle of your seat with both hands on the handlebars. Explain safety measures to any inexperienced passenger you may have before you ride. Stay alert and obey all traffic laws: Motorcyclists are not at fault in the majority of collisions that involve a motorcycle and another vehicle. You can’t control the actions of other drivers, but you can reduce your risk of injury by always remaining alert and careful about following all of the safety rules of the road. Only ride sober: You should never operate any vehicle, including a motorcycle, when your balance, alertness, reaction time and judgment are impaired by alcohol or drugs. Drowsiness can also inhibit your ability to ride safely, so take a break if you feel tired. Dress for visibility and protection: The last thing you want when riding a motorcycle is loose, flapping clothing and exposed skin. Be sure that your boots or shoes cover your ankles, and your legs and arms are well covered, preferably in leather. Wear gloves to improve your grip and protect your hands. If you’ve been injured in a motorcycle collision or crash due to another driver’s recklessness, carelessness or negligence, please contact attorney Jim Miron today online or at 203-339-5991 for a complimentary consultation. Jim welcomes clients from throughout Connecticut, including the Greater Bridgeport, New Haven, Stamford, and Waterbury areas.